"The pace of change is mandating that we produce a faster, smarter, better grade of human being. Current systems are preventing that from happening. Future education system will be unleashed with the advent of a standardized rapid courseware-builder and a single point global distribution system." Thomas Frey, Executive Director and Senior Futurist at the DaVinci Institute, February 2007. Thomas Frey, founder of the DaVinci Institute, has a vision. He sees a radical shift beginning in the world of education within two years--which would be 2009. While many are debating vouchers, No Child Left Behind, teacher shortages, grading systems, teacher certification, parental involvement, truancy and dropouts, Frey is thinking out of the box..."Star Trek type" out of the box. Frey believes that in two years private funding will cause disruptive education systems to emerge. And, in 5 years, there will be dramatic changes...dramatic. This is a $100 word that can be confusing. What is it? Frey believes that technology will drive the future and that items like iTunes and Amazon will determine the vehicle for education. Courseware-Builder will be the software that makes education possible on any conceivable topic. Frey believes that many companies will compete for the market but that one will come out the winner. 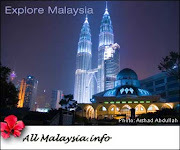 Then, the consumer will select an education that suits personal needs. Mathematics is a critical component in a successful society. Greek civilization was famous for math--Archimedes, Pythagoras, Euclid, Hipparchus, Posidonius and Ptolemy all furthered math concepts. When the Romans became the dominant force on earth, they did not focus on mathematics. The Romans had the Roman numerals system which made little sense. It prevented the Romans from furthering the mathematics that the Greeks built. Unfortunately, the Romans were not aware that their "system" was holding back progress. Western Digital is back with a brand new hard drive known as the WD VelociRaptor, where it will be available in 450GB and 600GB capacities. These are the next generation of its 10,000 RPM SATA family of hard drives, where it was specially designed to cater fro blade servers, high-performance PCs, Mac computers, professional workstations, in addition to 1U and 2U rack servers – basically any situation that calls for a balance of high performance and capacity. It also holds the distinction of being the only 10,000 RPM SATA hard drive on the market, and has been a firm favorite in the past amongst enthusiast and enterprise groups. Nice to know this latest iteration of the VelociRaptor brand now features double the capacity and up to 15% performance increase. The WD VelociRaptor hard drive comes with enterprise-class mechanics that provide round the clock durability under high-performance demands, where up to 600GB of data can be crammed into a 2.5″ enterprise form factor. Apart from that, you can pick up the WD VelociRaptor drive in the IcePack enclosure, which is essentially a 3.5″ mounting frame that comes complete with a built-in heat sink. This factory customization will be able to fit the drive into a standard 3.5″ system bay while keeping it extra cool even when it is installed in a high-performance desktop chassis and 3.5″ hard drive form factor enterprise chassis. 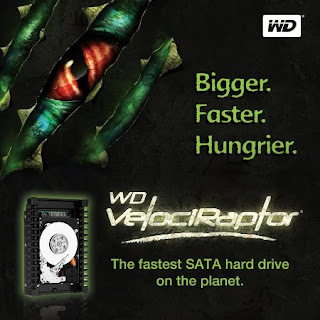 * Killer speed – SATA 6 Gb/s interface and 32 MB cache enhance the next generation 10,000 RPM WD VelociRaptor making it up to 15% faster than the award-winning previous generation. * Monstrous capacity – WD VelociRaptor SATA drives are available in capacities up to 600 GB, double the capacity of the previous generation. * Rock-solid reliability – Designed and manufactured to mission-critical enterprise-class standards to provide enterprise reliability in high duty cycle environments. With 1.4 million hours MTBF, these drives have the highest available reliability rating on a high capacity SATA drive. * Ultra-cool operation – Consumes no more power than the previous generation WD VelociRaptor while offering double the capacity and higher performance. * IcePack mounting frame – The 2.5-inch WD VelociRaptor is enclosed in a backplane-ready 3.5-inch enterprise-class mounting frame with a built-in heat sink that keeps this powerful little drive extra cool when installed in high-performance desktop chassis. * Rotary Acceleration Feed Forward (RAFF) – Optimizes operation and performance when the drives are used in vibration-prone, multi-drive chassis. * NoTouch ramp load technology – The recording head never touches the disk media ensuring significantly less wear to the recording head and media as well as better drive protection in transit. * Environmentally conscious – In addition to being ROHS compliant, this generation of WD VelociRaptor is also a halogen-free design. Virtual teams are a great way to enable teamwork in situations where people are not sitting in the same physical office at the same time. Such teams are used more and more by companies and other organizations to cut travel, relocation, real estate, and other business costs. This is particularly so for businesses that use virtual organizations to build global presence, outsource their operations, or need less common expertise or skills from people who are reluctant to travel or relocate from their home locations. Virtual teams are governed essentially the by same fundamental principles as traditional teams. Yet, there is one critical difference. This difference is the way the team members communicate. Instead of using the full spectrum and dynamics of in-office face-to-face exchange, they now rely on special communication channels enabled by modern technologies, such as e-mails, faxes, phone calls and teleconferences, virtual meetings, and alike. Due to more limited communication channels, the success and effectiveness of virtual teams is much more sensitive to the type of project the group works on, what people are selected, and how the team is managed. Not every type of project is suitable for a virtual organization. One challenging case is projects that rely heavily on sequential or integrated work, as often the case in manufacturing. In particular, when each person’s work depends much on what someone else is doing at the same moment (like in a sports team), there is an ongoing heavy exchange of information in real time, and/or the tasks has to go through a strict sequence of workers within a short time. Not everyone can perform well in a virtual team environment. The members should be self motivated and able to work independently. They need to be able to keep working effectively without much of external control or structure. The next important quality is strong result-orientation. Unless the person shows clear results, there is nobody around to see how intense his or her work activities are. Another critical factor is communication skills. The team member should be able to communicate clearly, constructively, and positively even through the more limited channels of technology, in spite of the loss of many nonverbal cues of face-to-face communications. Managers of virtual teams also need to pay much more attentions to maintaining clear goals, performance standards, and communication rules. People have varying assumptions on what to expect from each other. To avoid build-ups of misunderstandings, in a virtual organization it is critical to replace those implicit assumptions with clear rules and protocols that everyone understands and agrees upon, especially for communication. One of the biggest challenges of virtual teams is building and maintaining trust between the team members. Trust is critical for unblocking communication between members and sustaining motivation of each person involved. The issue of trust needs special attention at any stage of team existence. I’m now intresting in VIRTUAL TEAM. Can we share your knowledge about VIRTUAL TEAM ! May the coming new year be filed with thriling JOY OF LIFE, LOVE, FUN, HAPPINES, SUCCESS AND BEAUTIFUL DELIGHTS to tresure for a lifetime.